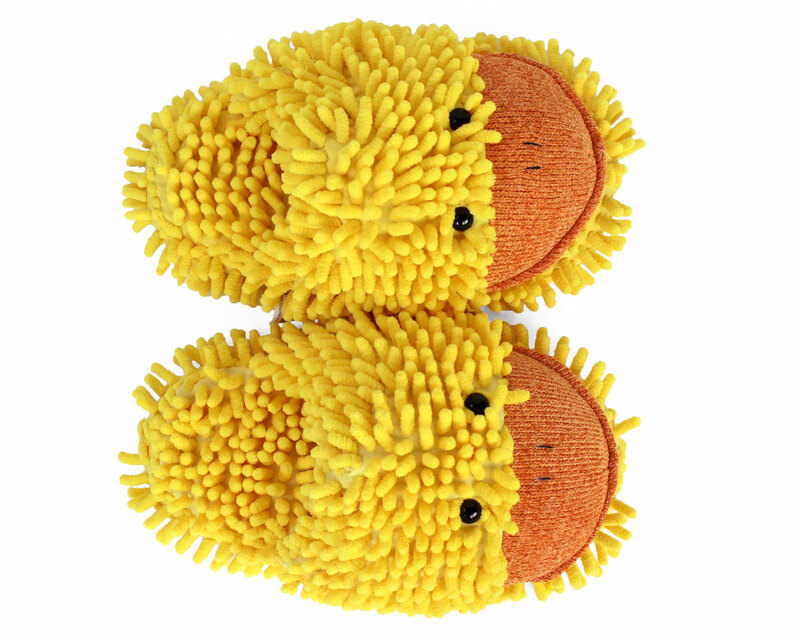 These cute little ducklings are perfect for keeping your feet comfy cozy on wet and chilly mornings. 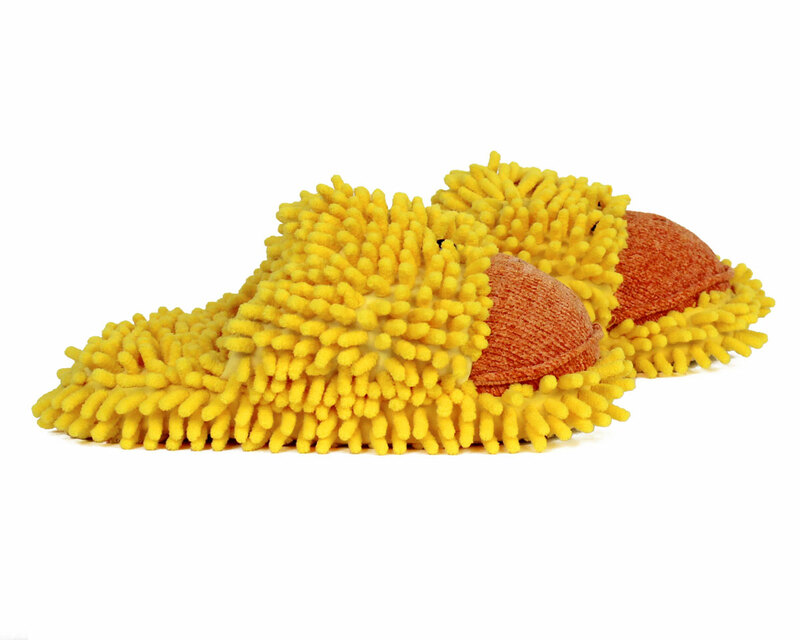 The fuzzy duck slippers are lined with a soft, furry fabric that feels wonderful on cold and achy feet. 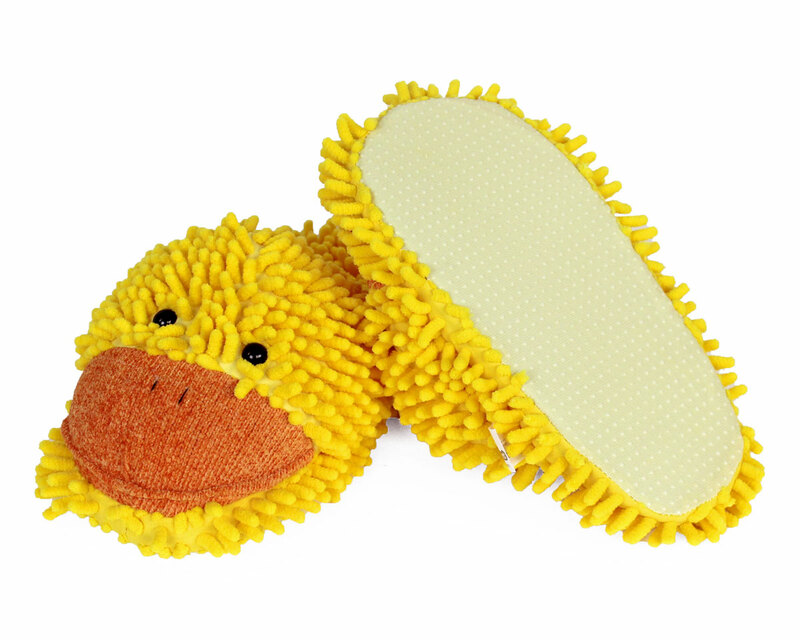 The head of each duck slipper is embellished with a tuft of yellow fluff, and a smiling bill. 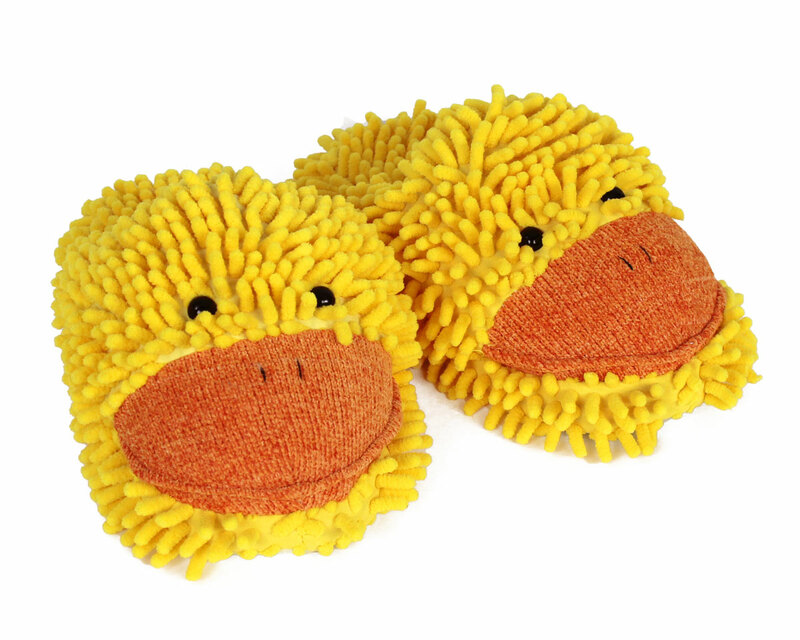 The first time you try these slippers on, you'll understand these slippers are all they're quacked up to be! LOVE these slippers!!! Very comfortable & warm too! My granddaughter is thrilled! She had worn out one pair and loved the ducky slippers! So fast on delivery as well! Love love love them!!!!! So happy with them and they arrived in just a few days. QUACK!!! This made a nice addition to my farm -- I have pigs, cows and now the ducks! Warm, comfy and definitely a conversation piece. Advantages: The one size fits most -- fits a size 9 woot woot! My girlfriend LOVES these Slippers, Shes wares them every evening. And its not to please me. She said they are VERY WARM AND COMFORTABLE. Disadvantages: The " FUZZ " wears down or goes flat rather. But after she sticks a hair brush in there and pulls them back.. Its better. I bought this pair of Fuzzy Duck Slippers to replace an old pair. I'd had my old ones for over a decade so it was time. These are just as comfortable and adorable. Even though it's summer here I still wear them every evening. I know that these will last a long time as they're even better than my old favorites! Would highly recommend. I love these slippers, and I am not a slippers person (bare feet). They are oh so soft and comfortable. I would recommend them to any and all.